It's a regular celestial event witnessed from an entirely different perspective, and it sure is mesmerizing. 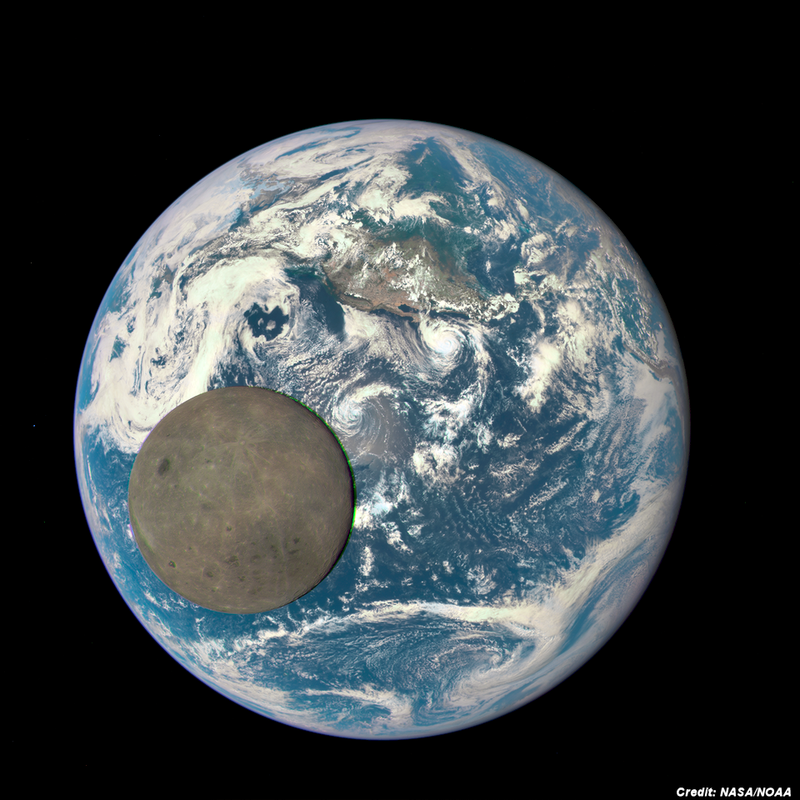 Last month, the Deep Space Climate Observatory (DSCOVR) captured a series of test photos with its Earth Polychromatic Imaging Camera. From its lofty perch 1 million miles from Earth, EPIC looked on as the moon transited our planet (above).